Silicon and oxygen, the two most common chemical elements in the Earth's crust, combine as silicon dioxide to form the mineral quartz. Quartz is the most abundant mineral in the Earth's crust. Quartz has been found in meteorites and in some rocks collected on the moon. Quartz has the chemical formula SiO2. There are many varieties of quartz, which occurs in nearly all types of igneous, metamorphic and sedimentary rocks. It is an essential mineral in granites, granodiorites and rhyolites. Metamorphism of quartz-bearing igneous and sedimentary rocks typically increases the amount of quartz and its grain size. Quartz is very resistant to weathering and, therefore, concentrates as sandstones and other detrital rocks. Most sands are weathered fragments of quartz. Sandstone and quartzite are the same materials that are re-lithified (compressed into rock). Quartz has many commercial applications. In science and industry, quartz sand is used for manufacturing sandpaper and other abrasives, polishing powders and soaps. It is used to make building materials, heat-resistant materials known as refractories and for the bearings of precision instruments. Quartz sand is also used in the manufacture of porcelain, glass and metal casting molds. Precision-cut plates of quartz are used for frequency control in radios, TVs, clocks and watches. Scientists have developed a method of "growing" flawless quartz crystals in industrial plants that are used to manufacture optical devices. Silica glass (fused quartz) is used in optics to transmit ultraviolet light and to make laboratory tubing and vessels, as well as fibers employed in sensitive weighing devices. Compositionally, quartz is usually quite pure, with only traces of other elements like aluminum, sodium, potassium and lithium. 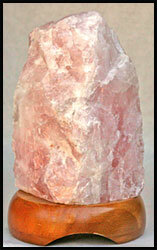 Quartz is found as large crystals that are often beautifully colored by impurities. 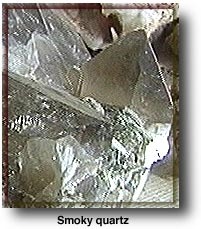 The many varieties of quartz is due to formation of different geometric arrangements of its tetrahedral crystals. This account for different crystal structures, and, therefore, different physical properties. 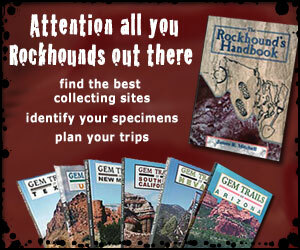 Many of the quartz variations listed below are gemstones. View Video about Dust Devils. Born of the battle between the sun and sand, the dust devil is a rapidly rotating column of air that has wrapped itself around a rising thermal. The average dust devil is ten to fifty feet in diameter. The chief ingredients for a good dust devil are clear skies, a bright sun, and a dry hot surface. Watch video.